If you’ve been following my work thus far, some of you might have noticed a trend in my writing style, my reviews, much of the stuff I produce. It’s been brought to my attention recently by several parties that my writing is too… Positive, there’s too much praise. This is mostly due to a large amount of bias toward the subjects I write about. For example, I knew that Bring Me The Horizon had recently been fantastic live, and I’m a huge fan of their music. Because of this, my view of the gig might have been more inclined to praise. However, I’ve decided to begin a new series in order to give people what they want. Unbiased, blind reviews. So, once a week, I will be heading to Netflix and generating a random number. Using this number, I will choose a film at random. For example, if I was given 8, I would go down 8 categories, then across 8 movies. The film I land on, I will review. No prior knowledge and no distractions. If I land on something I’ve already seen, I’ll re-roll. It’s as simple as that. So, without further adue, welcome to It Came From Netflix. How do we begin this week? With the number 10. Wow, what a first choice. Maximum Overload is a TV Short from 2013 based on immensely popular Marvel heroes and villains from properties such as Avengers: Assemble and it’s many spin offs. Loki has obtained a mysterious Asgardian magic and intends to use it to control several different villains attacking our usual heroes. Well, as you’d expect from a straight to DVD/TV Short, there is a clear lack of effort on everyone’s part here. Unlike the truly stellar Toy Story shorts produced over the years, this particular example stinks of sales. It’s clear that Lego and Marvel are here to sell toys, nothing more. Smarmy dialogue, jokes that would fall short for even the youngest viewers and unlikable characters sandwiched between an uninspired plot make for very dull viewing. It lacks charm of any kind, and its attempts at fourth wall breaking are quite frankly embarassing. Any praise the short deserves is instantly countered by a fault. I could admit that the animation and detailing of the minifigures was quite well done, and that the voice acting was surprisingly very strong. But then I’d have to mention the incredibly poor soundtrack, tired pop culture references and weak lineup of heroes. By the 12 minute mark, I noticed the introduction of lower teir heroes such as Iron Fist, and the cartoon only runs at 22 minutes. The thing is, I can’t even say this is ‘one for the fans’. Aside from your standard cameos (yes, Stan Lee does put in his routine performance), there’s nothing here. The cartoon isn’t horrific, it’s just bad. It’s the worst kind of entertainment, the kind that leaves no impact on you whatsoever. All I was left with was a bad taste in my mouth that disappeared within minutes. Oh, and the worrying realisation that it really WAS J.K Simmons reprising his role as J. Jonah Jameson. Really? I feel the need to give one particular character his own paragraph due to the utter abhorrence of his presence. Spiderman’s character here is loathsome. That’s something I don’t say lightly, but at several occasions he made me question just who they’re trying to appeal to here. His nods and winks to the camera at almost every appearance just left me tired, and his ‘one-liners’ are near vomit inducing. I wouldn’t hesitate to say some of his dialogue is the worst I have ever heard. 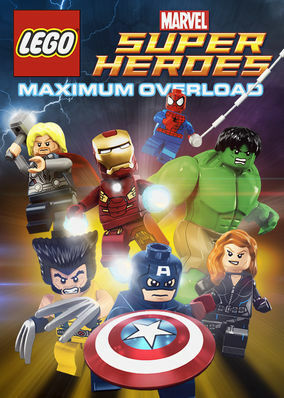 LEGO: Marvel: Maximum Overload is a pointless showcase. Don’t bother with it, don’t even look it up. Just let it wallow in it’s own putrescent waters, floating unnoticed like an old toy in a stream. Hopefully next week’s better.